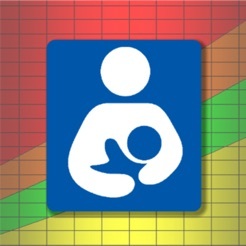 Breast Fed Babies grow differently than babies on formula. Track them in a system that is designed for their growth patterns. Understand why it is better to breast feed with quotes from leading medical sources. 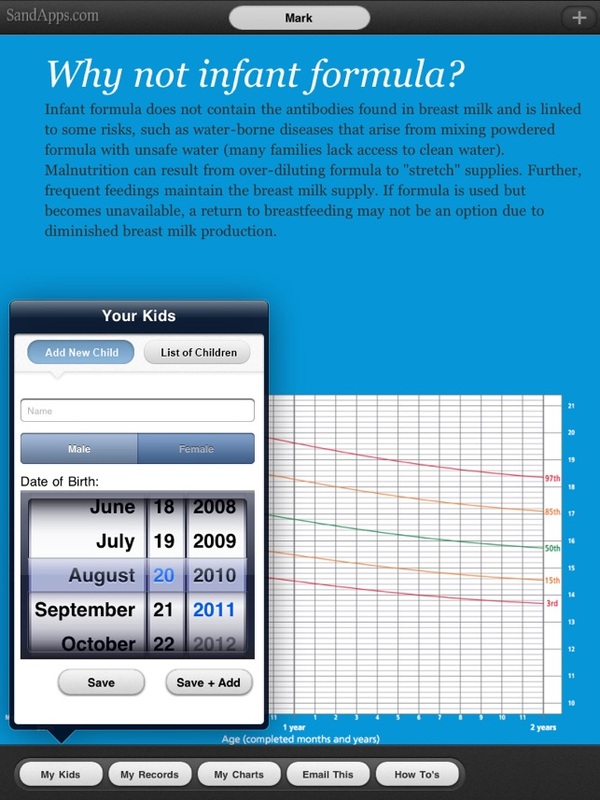 From the first drink of Colostrum your baby has, track their expected progress for the next five years. Made by parents for parents. These Child Growth Standards go beyond the current references. They allow important growth measurements, such as body weight and length/height of infants and children to be assessed against a standard optimum value. 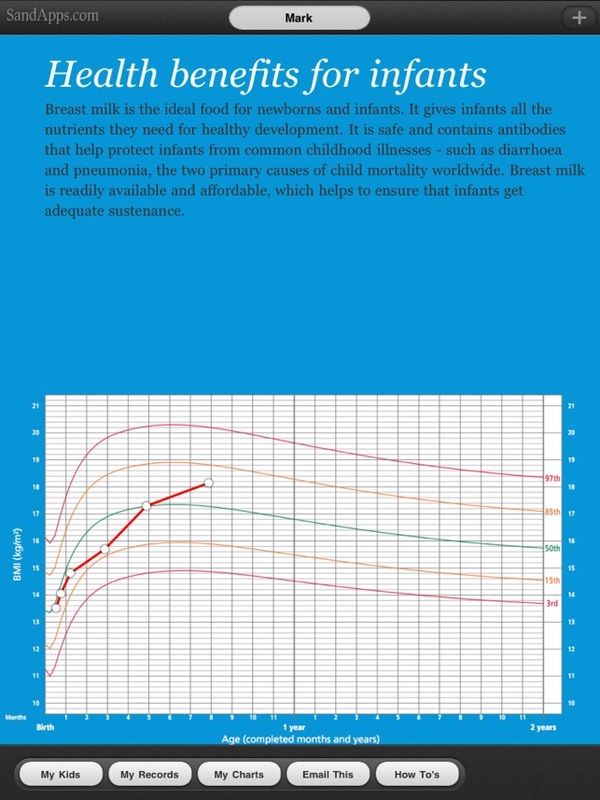 There are charts for boys and for girls, and for infants to one year, and for children up to five years. It won't measure accurately because you can't put in your child's date of birth. I want my 3.99 back! It changes where she falls on percentage wise on the chart when you go from birth to two years to birth to six months. It should be the same. Either she's in the 97th percentile as the birth to six months says or she's in the 15th percentile as the birth to two years says she can't be both! So stupid!!! Please fix this mix up! I know the charts at the doctors office doesn't include a place for DOB but you are the one putting the dots on the chart so you know that she's 2 months so you put the info down for two months not nine weeks!!! Don't waste your money until they fix this screw up! 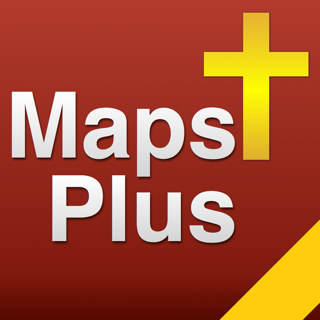 I would give this app 0 stars if possible! It is a complete waste of money! Does not give option for entering pounds and ounces, and does not give option to plot in weeks on graph only in months. Also I entered in a weight on the wrong date but I was not able to delete the entry when I realized my mistake. I regret getting this app!